Every effort is taken to ensure patrons safety, but you must be aware that this is an ice rink and you may fall. If you choose to skate you do so at your own risk. Children under 12 should be supervised by an adult over 18. The supervising adult must remain in the building. Children under 8 must be accompanied on the ice by an adult. Tickets purchased are only valid for the session stated on the ticket. Tickets may be transferred to another session by prior arrangement with management and may be subject to an admin fee. Skaters must arrive 20 minutes prior to the start of your session. Late arrivals will not have time added on to their session. Management reserve the right of refusal or removal of any person causing offence or interrupting the enjoyment of other skaters. Any person showing signs of intoxication will not be permitted. Anti social behaviour including but not limited to fighting, vandalism, swearing, spitting will result in immediate removal from the ice rink. Mayo On Ice is not responsible for loss or damage of personal property. In the unlikely event that a session can not go ahead due to extreme weather or technical issues, then ticket holders will be offered a ticket for an alternative mutually suitable session. Any patrons who suffer from injuries or medical conditions are advised to seek medical advice prior to skating. 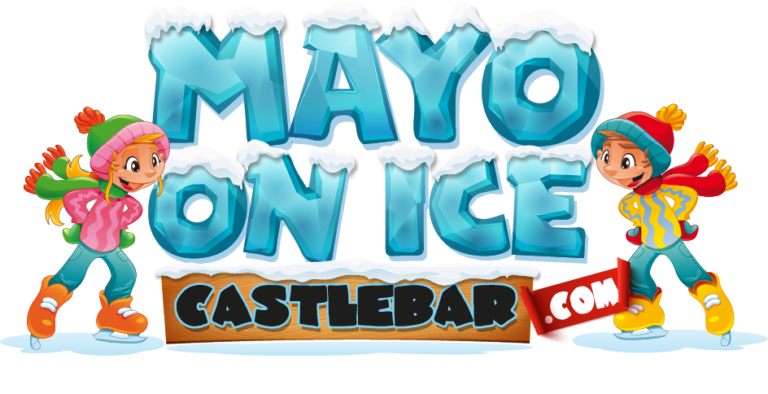 Gift vouchers are valid for the duration of the Mayo on Ice event and are deemed expired at the end of the event.